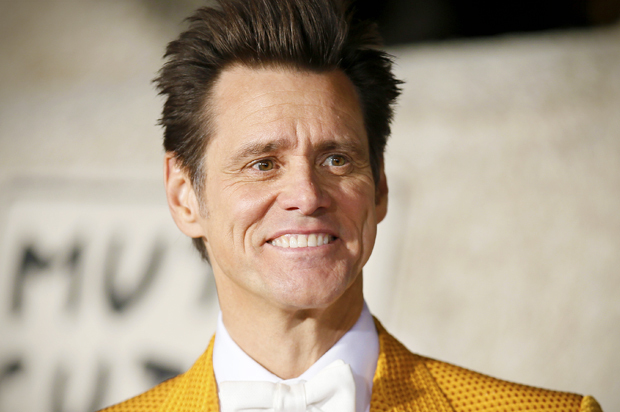 JIM CARREY LEADS CALIFORNIA’S PARANOID ANTI-VAX FREAKOUT: “THE CORPORATE FACISTS MUST BE STOPPED” | "Global Possibilities"
On Tuesday, California governor Jerry Brown made official a move that’s been brewing all year by signing into law SB277, the bill that removes “religious and personal belief” exemptions for parents who wish to opt out of vaccinating their children who attend school. But don’t think for a moment the anti-vax crowd is going quietly. Let the freakouts commence — Jim Carrey, this is your cue. As Wired reports, Mississippi and West Virginia also have no personal exemptions. But California, a state with a reputation for its combination of affluence and alternative perspectives, is already proving unique. It wasn’t so long ago that the anti-vaccine movement, validated by high profile figures like Jenny McCarthy, had a strong hold and a measure of acceptance. In certain well-heeled California communities, the personal exemption rate rose as high as 8.6%. But then the tide began to turn. In December, an outbreak of measles that appeared to have originated in Anaheim’s Disneyland erupted. It eventually spread to six states as well as Canada and Mexico, affecting 147 individuals. Then in January, Marin county father Carl Krawitt — whose son Rhett is still recovering from leukemia treatment and cannot yet be vaccinated — went public with his quest to push the school district to “require immunization as a condition of attendance, with the only exception being those who cannot medically be vaccinated.” In April, Berkeley City Council moved to eliminate personal exemptions and to require districts to notify parents of school immunization rates. As Brown wrote in signing SB277, “The science is clear that vaccines dramatically protect children against a number of infectious and dangerous diseases. While it’s true that no medical intervention is without risk, the evidence shows that immunization powerfully benefits and protects the community.” Children who already are in school under a personal belief exemption will also be expected to be vaccinated. But the bill also still provides exceptions for “circumstances, including but not limited to, family medical history, for which the physician does not recommend immunization” and takes effect at the start of the 2016-17 school year. Maybe now we can finally eradicate diseases like measles, which had been all but eliminated before the anti-vax movement kicked in. I’m not even going to bother explaining why this just isn’t true. I’m just going to echo Brown’s assertion that of course everything comes with risks and of course that includes occasional adverse effects for some. That does not mean we bring back harmful diseases. It does not mean we expose not just our kids but other people who don’t have a choice in the matter to those diseases. That’s selfish and ignorant and based on literally nothing but nonsense. And it’s not just dumb. It’s dumber than dumb.